Red Bull currently have four constructors titles and four drivers titles, those four titles are all courtesy of one driver, Sebastian Vettel. The German’s relationship with the team begun in 1998 at the age of 11, when he signed to their junior team. His success in the junior formulae acted as a precursor to his career at the top table as he won the Junior Monaco Kart Cup in 2001. He then went on to win the 2004 German Formula BMW Championship, with a whopping 18 wins from 20 victories. This opened up his door to F1 as he was rewarded with a test in the Williams FW27. While he was winning these cups in the junior categories, in Formula One another German was taking all the plaudits. As Vettel won 18 from 20 races in 2004, Michael Schumacher was taking his seventh world championship in his most dominant season. He took 13 wins from 18 races and took his final championship win. Vettel begun testing for the BMW Sauber Formula One team in 2006, while participating in the F3 Euroseries, coming second to Paul Di Resta. 2007 saw him get his big break, while racing in the Formula Renault 3.5 Series. Following Robert Kubica’s horror smash at the 2007 Canadian Grand Prix, Vettel was called up to replace him for the US Grand Prix. He qualified seventh and finished eighth, taking his first point and becoming the youngest point scorer in history, aged 19 years and 349 days. BMW released Vettel so that he could join the Scuderia Toro Rosso team for the remainder of the 2007 season, replacing Scott Speed. This is where his journey to Red Bull stardom began. Following a few impressive results, his big break came at the Italian Grand Prix in 2008. He qualified on pole in horrendous conditions, becoming the youngest polesitter, which he then masterfully translated into his and Toro Rosso’s first win. He broke Fernando Alonso’s record set at the 2003 Hungarian Grand Prix of youngest winner. 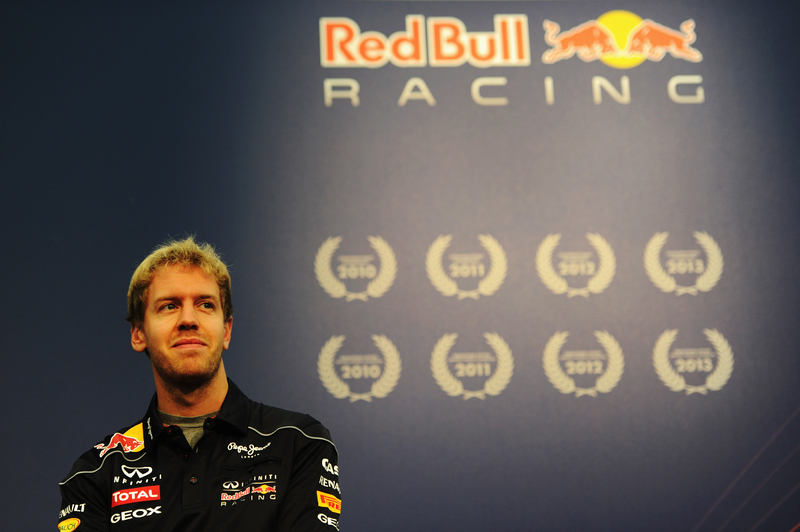 For 2009, Red Bull promoted Vettel to their team alongside Mark Webber, and the rest, as they say, is history. 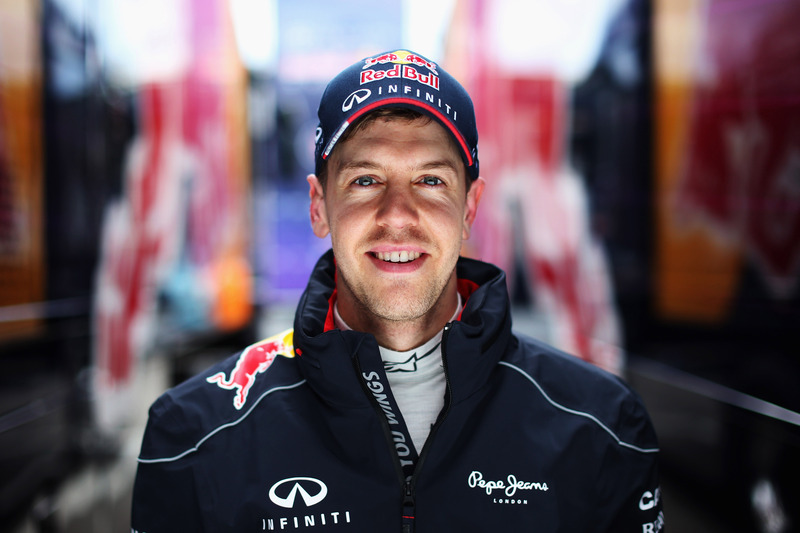 He took Red Bull’s first win at the Chinese Grand Prix, with team mate Mark Webber in second. He took four wins that season and finished second in the championship to Jenson Button in the dominant Brawn. 2010 however, was an interesting year for the team, at the Turkish Grand Prix, while challenging Webber for the lead, the pair collided, putting Vettel out of the race, and the relationship turned sour from that moment on. Both were fighting for the championship come the end of the season, with Lewis Hamilton and Fernando Alonso joining them, in a winner takes all clash at Abu Dhabi. He took pole and won the race, taking his first championship, following in the footsteps of John Surtees in 1964 and James Hunt in 1976 in not leading the championship at any point during the season. 2011 was another story, he was dominant, taking 11 wins from 19 races, showing his driving prowess and the newly found power of Red Bull in Formula One. The Austrian team had beaten the heavyweights of McLaren and Ferrari in becoming the top team in the sport. Vettel was quickly becoming known as one of the best drivers in the sport, taking record after record. 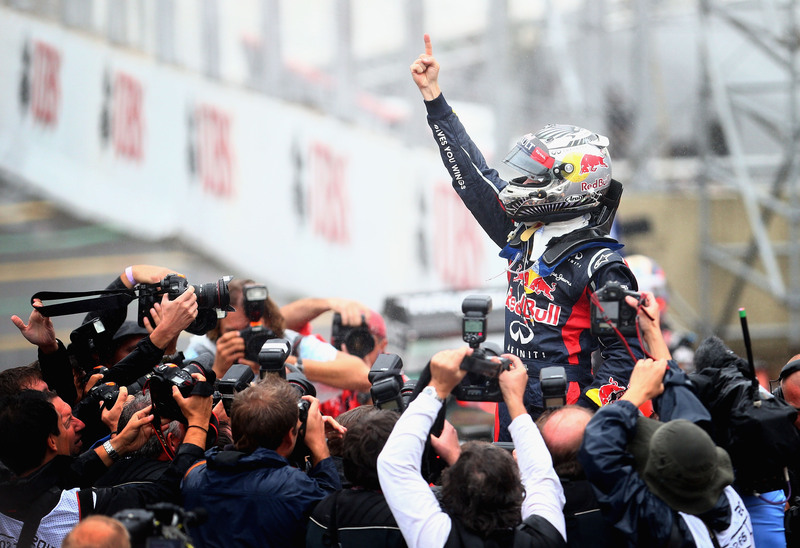 2012 saw him take his third consecutive title, emulating Juan Manuel Fangio and Michael Schumacher in the process. He was in a battle with Fernando Alonso, again, and it went down to the final race in Brazil. After a first lap collision, Vettel was at the back of the grid, he battled back through the grid, taking sixth, while Alonso finished second, meaning there was nothing Alonso could do. A rather symbolic moment from the race however was Mercedes’ Michael Schumacher moving over for Vettel to take sixth place in Schumacher’s final race. It was almost like there was a changing of the guard between the two. 2013 saw Vettel take an impressive fourth title, not without its hairy moments, with the now infamous multi-21 incident in Malaysia. Vettel ignored team orders and overtook Webber, taking the win, the Australian was incandescent. Their relationship was already fragile following the incident in 2010, and this was the final straw, with Webber believing the team was against him, he decided to retire from Formula One at the end of the season. He was booed at some races and Vettel revealed it did have a negative impact on him, though it was widely condemned by many drivers. It didn’t appear to faze him too much as he ended the season with 13 wins from 19 races, including nine consecutive wins at the end of the season. 2014 was the beginning of the end for Red Bull and Vettel, with the rules being changed, Mercedes became the dominant force, with Vettel being overshadowed by new team mate Daniel Ricciardo. In Japan it was confirmed that Vettel would join Ferrari, ending a 16 year association with Red Bull. A German at Ferrari, sound familiar? Vettel is currently fighting for the title with Lewis Hamilton, but it’s clear that without Red Bull, Vettel’s career could have been so different.